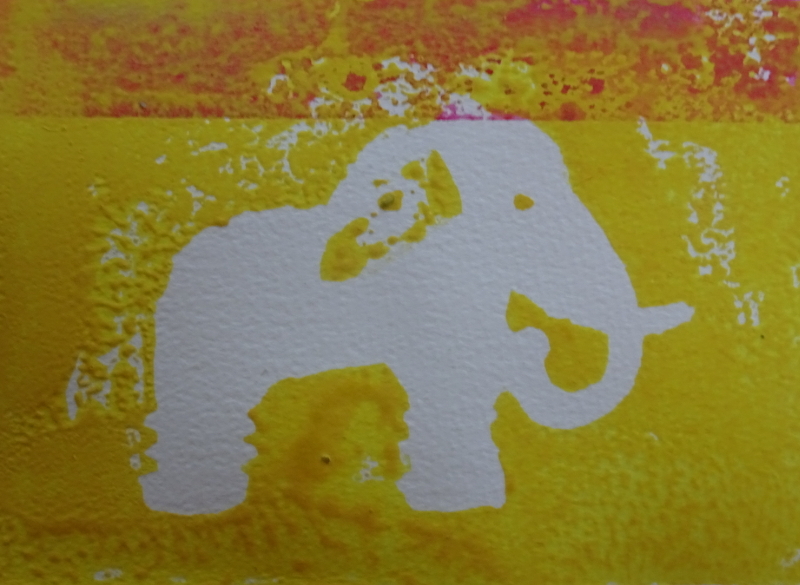 I have drawn and “excavated” my image of The Elephant Of No Distinction But Infinite Charm. I decided to leave the elephant white and print the background. This gives me greater printed area which is easier to manage while the unprinted elephant allows for more colourful decoration. But the printing is not as easy as it sounds. I had hoped to use acrylic inks, but they gave a very patchy response. lino printing paints did better, but I now remember that I used a press to achieve a good print when I did the Christmas card last year. I can’t do that with this set of consecutive prints on a large sheet of paper. 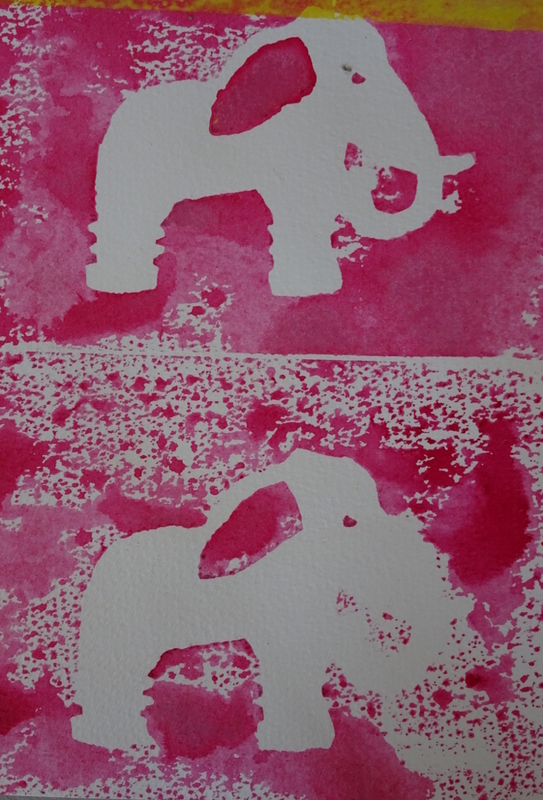 So, I have cut out my elephant shape in thick card, attached a handle for lifting neatly, and am going to use it to mask the shape while I paint the background of each rectangle of my Meander Book. I’m not going to complete this in time for this Christmas! Maybe next year! I seem to remember asking someone how they were getting on with something, and being told “Well, we’ve found lots of things that won’t work!”, which seems rather to be where you’ve got to, as well!